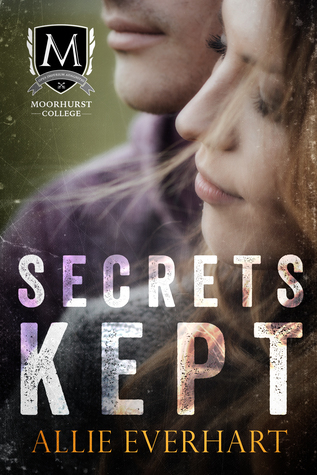 Book Blitz + Giveaway: SECRETS KEPT ( Moorhurst College ) By ALLIE EVERHART – Imagination and information for book's. After finding her boyfriend cheating, Kate decides she’s had it with men. So the next night at her catering job she pretends not to be interested when Gavin, a hot guy with a great smile who attends the very exclusive Moorhurst College, asks her out. Unable to resist his charm, she agrees to have dinner with him. After their first date, Kate’s convinced Gavin’s too good to be true. Funny, sweet, smart and easy to talk to, he’s nothing like the losers she’s dated in the past. But maybe her luck has changed. Maybe Gavin’s the guy she’s been waiting for.